A stepper motor is one of the most commonly used motor for precise angular movement. The advantage of using a stepper motor is that the angular position of the motor can be controlled without any feedback mechanism. The stepper motors are widely used in industrial and commercial applications. They are also commonly used as in drive systems such as robots, washing machines etc. 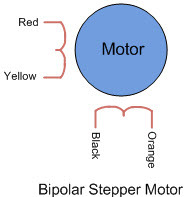 Stepper motors can be unipolar or bipolar and here we are using unipolar stepper motor. 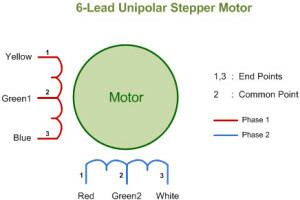 The unipolar stepper motor consists of six wires out of which four are connected to coil of the motor and two are common wires. 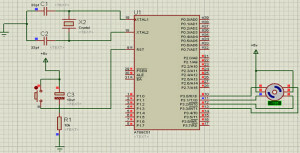 Each common wire is connected to a voltage source and remaining wires are connected to the microcontroller. void msdelay(unsigned int time) // Function for creating delay in milliseconds.